Uber's self-driving vehicles hit the road in Pittsburgh. 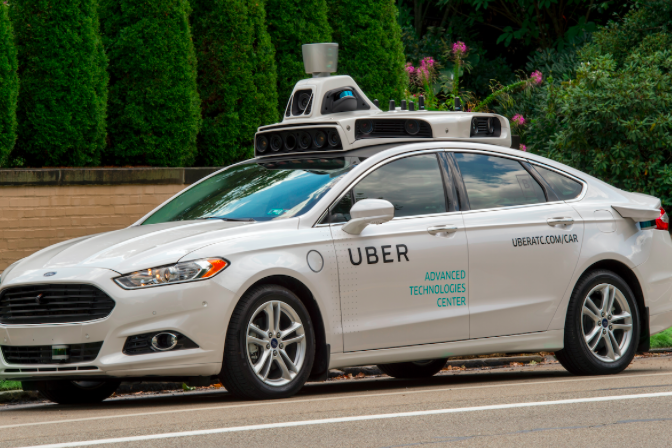 Uber has put a handful of self-driving cars back on the roads in Pittsburgh this week, according to the Associated Press. The cars returned to the roads at noon on Tuesday after nearly four months of silence from Uber while the National Transportation and Safety Board investigated a crash involving a "distracted" self-driving Uber car operator that killed a woman in Tempe, Arizona. A spokesperson for Uber told the AP the cars were brought back to Pittsburgh because a majority of Uber's engineering team and test track is located there, and it remains one of Uber's only testing sites eligible for current operation. The implemented cars, however, will not yet be completely autonomous or respond to ride-hailing calls. Vehicles will be operated in manual mode with two safety operators inside, who Uber is calling "Mission Specialists" — one of which will have their hands on the wheel at all times, the other will document incidents or issues. In March, Uber paused self-driving operations in all of its locations, including Pittsburgh, San Francisco, Toronto, and Tempe (which has since been shut down altogether). Its California permit to test expired at the end of March, and the company has yet to renew it. Tim McNulty, spokesperson for Pittsburgh's Mayor Bill Peduto, told WITF the mayor "appreciates" Uber restarting operations "in manual mode to be extra careful on Pittsburgh streets." It looks like some of the other new features will include a built-in system that monitors how attentive these mission specialists are behind the wheel. In a blog post published on Medium, head of Uber Advanced Technologies Group Eric Meyhofer, said an audio alert will cue the specialist and a remote monitor. There is also now emergency braking, imminent collision warnings, a navigation tablet that is less distracting for drivers, and updated training for these mission specialists. Earlier this month, Uber laid off 100 of its former self-driving car operators, a majority of whom were based in Pittsburgh, the Post-Gazette reported. Apparently these older operators were "not fluent in the technical side of operations" and were given first priority in applying for 55 new operations roles spread across the test sites. "Self-driving technology has the potential to make these benefits an everyday reality for our customers, but it’s not going to happen overnight," Meyhofer wrote on Medium. "Building best-in-class self-driving technology will take time, and safety is our priority every step of the way." PennDOT issued its own rules for these vehicles on Tuesday as well — calling for companies operating these kinds of automated vehicles to give notice of testing, allow PennDOT to collect data and crash reports, and give the state permission to suspend testing at any time. These rules remain voluntary at this time. Have a news tip? Let us know.